Intro: Structured Negotiation is a collaborative and solution-driven dispute resolution method typically conducted without a lawsuit on file. (Its tools can also be used at any stage of a litigation.) On this page you will find a list of settlement agreements reached in Structured Negotiation by the Law Office of Lainey Feingold, often with co-counsel. The joint press releases issued in connection with these agreements can be found in the Press Release Topic. You can learn more about Structured Negotiation on the Frequently Asked Questions page. You can also read an article about Structured Negotiation published in the American Bar Association (ABA) Journal in December, 2013. Lainey’s book Structured Negotiation: A Winning Alternative to Lawsuits includes stories of many of the cases listed on this page as well as the nuts and bolts strategies that make Structured Negotiation so effective. The book, which is not just for lawyers, is available on Amazon and through the ABA. Readers with print disabilities can find the book on Bookshare and through the National Library Service. Read more about Lainey’s book. If you are looking for digital accessibility settlements and lawsuits by other attorneys and advocates, or federal agency activity to improve access to information and technology, please visit the Legal Update Category on this website. Want to keep up with the law around digital accessibility? Please sign up for Lainey’s (sporadic) email list or follow the Law Office of Lainey Feingold on Twitter. The following Settlement Agreements, listed in alphabetical order, were reached using Structured Negotiation. You can also access these agreements through the Settlement Agreements category where they appear in chronological order with a brief excerpt and link to the full agreement. In the list below the title of each agreement is a link to an html version of the document. 7-Eleven V-Com (ATM) Agreement (2004) Talking V-coms at 7-Eleven stores in the United States. 7-Eleven Point of Sale Agreement (2007) Tactile point of sale devices at all 7-Eleven stores in the United States. Download PDF version of 7-Eleven Point of Sale Agreement. Accessible Credit Reports Agreement (2008) Accessible online credit reports and credit reports in Braille, Large Print and audio CD from Equifax, Experian and TransUnion. Download PDF version of Accessible Credit Reports Agreement. American Cancer Society Accessible Website and Alternative Formats Agreement (2011) Accessible Website (WCAG 2.0 AA) and pilot alternative formats program (Braille, Large Print, audio, electronic). American Cancer Society Extension Agreement (2012) (See description above. This document extends the initial agreement for 12 months and provides additional documents in Braille and Large Print. American Express Braille Agreement (2005) Braille and Large Print Monthly and Year End Statements in the United States. American Express Talking ATM Agreement (2004) Talking ATMs owned by American Express in the U.S.
Bank of America Accessible Mortgage Information Agreement (2016) Accessible online mortgage information and alternative formats. Bank of America California and Florida Agreement (2000) Talking ATMs in California and Florida, comprehensive website accessibility, national alternative format policy. Bank of America Interim National Agreement (2001) Talking ATMs at 85% of locations nationwide. Bank of America Final National Agreement (2006) Talking ATMs at remaining 15% of locations nationwide. Bank of America Online and Mobile Security Solutions Settlement Agreement (2013) Accessibility of security solutions on the bank’s website and iOS mobile applications. Bank of America Credit Card Travel Rewards Redemption Website Settlement Agreement (2015) Accessibility of the bank’s travel rewards redemption website. Bank One Preliminary Talking ATM Agreement (2001) Talking ATMs at 130 locations. Bank One Final Agreement (2003) Talking ATMs at an additional 1500 locations, comprehensive website accessibility, national alternative format policy. Best Buy POS Settlement Agreement (2010) Tactile Point of Sale Devices at all stores in the United States. Charles Schwab Website Accessibility Settlement Agreement (2012) Website enhancements using WCAG 2.0 Level AA. Cinemark Audio Description Settlement Agreement (2012) Audio Description equipment in Cinemark movie theatres in California. Citibank Preliminary Agreement (1999) 5 Talking ATMs in California. Citibank Final Agreement (2001) Talking ATMs at all Citibank branch locations in the United States. Citizens Bank Agreement (2004) Talking ATMs in New England, comprehensive website accessibility, alternative format policy. CVS Accessible Web Site and Point of Sale Agreement (2009) Website accessibility and tactile point of sale devices at all CVS locations. Download PDF version of CVS Accessible Web Site and Point of Sale Agreement. CVS Talking Prescription Settlement Agreement (2014) ScripTalk talking prescription labels through cvs.com to blind pharmacy customers across the United States. Denny’s Digital Accessibility Settlement Agreement (2016) Web and mobile accessibility to WCAG 2.0 AA standards. Dollar General POS Settlement Agreement (2008) Tactile Point of Sale Devices at all stores in the United States. E*Trade Settlement Agreement (2016) Digital Accessibility for website, mobile applications and investment platform; digital accessibility governance committee, training and more. E*Trade Settlement Agreement Amendment (2018) Extending agreement providing for digital Accessibility for website, mobile applications and investment platform; digital accessibility governance committee, training and more. First Union Preliminary Settlement Agreement (2001) 100 Talking ATMs. First Union Final Settlement Agreement (2003) 600-650 Talking ATMs, comprehensive website accessibility, national alternative format policy. Fleet Bank Initial Settlement Agreement (2001) 1,420 Talking ATMs, comprehensive website accessibility, national alternative format policy. Fleet Bank Final Settlement Agreement (2003) Talking ATMs at all Fleet locations. Houston transit agency (Metropolital Transit Authority of Harris County) Digital Access Settlement Agreement. (2016) Accessible website, mobile application, and documents. Humana Accessible Prescription Information and Plan Documents Settlement Agreement (2015) Talking and braille labels and accessible plan documents. LaSalle Bank Settlement Agreement (2005) Talking ATMs at all LaSalle locations, comprehensive website accessibility, national alternative format policy. Major League Baseball Web Accessibility Agreement (2010) Accessibility of www.mlb.com and all thirty major league club sites. Addendum to Major League Baseball Web Accessibility Agreement (2012) Expansion of accessibility initiative, including accessibility of applications for iPhone and iPad. Mass. Eye and Ear Agreement (2017) Includes web site accessibility, alternative formats, training and other enhancements for blind patients and visitors. RadioShack POS and Web Agreement (2007) Tactile Point of Sale Devices at all stores in the United States, comprehensive website accessibility. Raley’s POS Settlement Agreement (2015) Tactile Point of Sale Devices at all Raley’s owned stores in the United States (includes Raley’s, Nob Hill, Bel Air stores). Rite Aid POS Agreement (2008) Tactile Point of Sale Devices at more than 5,000 stores in the United States. Download PDF version of Rite Aid Tactile POS Agreement. Safeway POS Settlement Agreement (2006) Tactile Point of Sale Devices at all Safeway owned stores in the United States (includes Safeway, Vons, Randalls, Tom Thumb, Genuardi’s, Pavilions, Dominick’s, Pak’n Save Foods and Carrs stores). Safeway Web Accessibility Settlement Agreement (2013) Web accessibility initiative for Safeway’s grocery delivery site using Web Content Accessibility Guidelines (WCAG) 2.0 Level AA as the standard. A separate “Access Site” will be removed. San Francisco APS Agreement (2007) Accessible Pedestrian Signals (APS) at all crosswalks in at least 80 San Francisco intersections. Download PDF version of SF APS Agreement. Sovereign Bank Settlement Agreement (2002) Talking ATMs at all Sovereign locations, comprehensive website accessibility, bank-wide alternative format policy. Staples Accessible Web Site and Point of Sale Agreement (2009) Website accessibility and tactile point of sale devices at all Staples locations. Download PDF version of Staples Accessible Web Site and Point of Sale Agreement. Target Point of Sale Agreement (2009) Tactile point of sale devices at all Target locations. Download PDF version of Target Point of Sale Agreement. TCF Bank Settlement Agreement (2008) Talking ATMs and comprehensive alternative format policy. Trader Joe’s Settlement Agreement (2009) Tactile Point of Sale Devices at all Trader Joe’s stores in the U.S.
University of California San Francisco (UCSF) Medical Center Agreement (2008) Comprehensive program to improve accessibility at University medical Center. Walmart Accessible Prescription Information Agreement (2013) Accessible Prescription labels through Walmart mail order for customers with visual impairments and at select stores across the U.S.
Walmart Point of Sale Agreement (2005) Tactile Point of Sale Devices at all Wal-Mart stores in the U.S.
Washington Mutual Agreement (2002) Talking ATMs at all Washington Mutual locations in the United States, comprehensive website accessibility, national alternative format policy. Weight Watchers Digital and Print Accessibility Agreement (2013) Web and mobile app accessibility and alternative formats for print materials. WellPoint Digital and Print Accessibility Agreement (2014) Web and mobile app accessibility and alternative formats for print materials. Wells Fargo California Agreement (1999) Talking ATMs and Alternative Formats in California. Wells Fargo Iowa and Utah Agreement (2002) Talking ATMs at all Wells Fargo locations in Utah and Iowa. This page lists settlement agreements that Lainey Feingold has negotiated. The agreements were reaching using Structured Negotiation. No lawsuits were filed. The list includes agreements with Walmart, CVS and Denny’s. There are more than fifty agreements listed on the page. 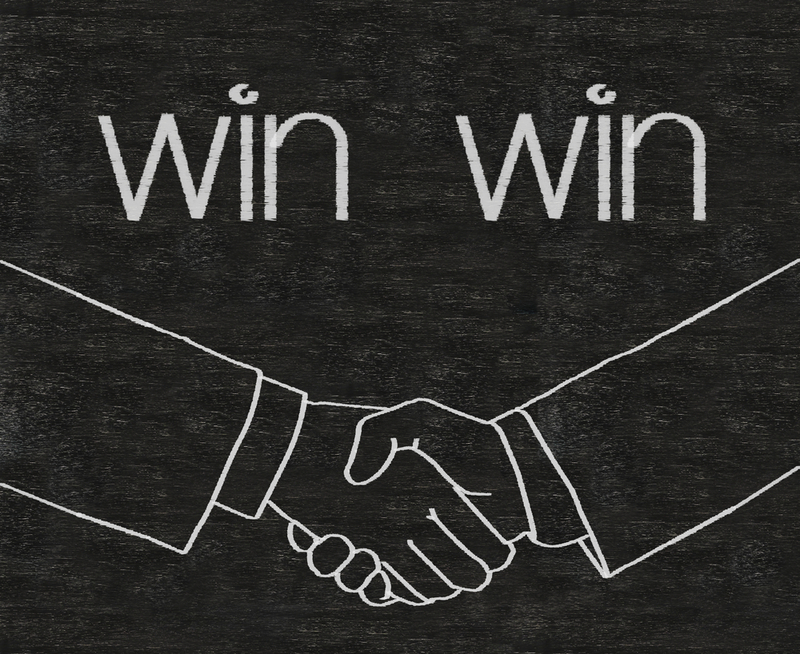 Structured Negotiation is a way to resolve legal problems without filing a lawsuit. In the Fall of 2016 Lainey Feingold’s book about the method will be published by the American Bar Association.